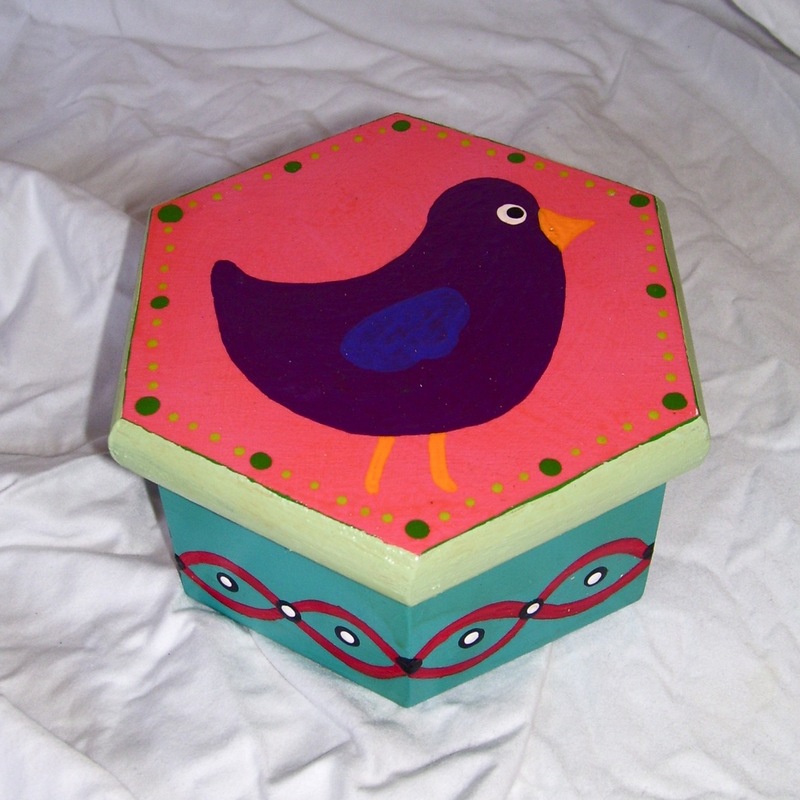 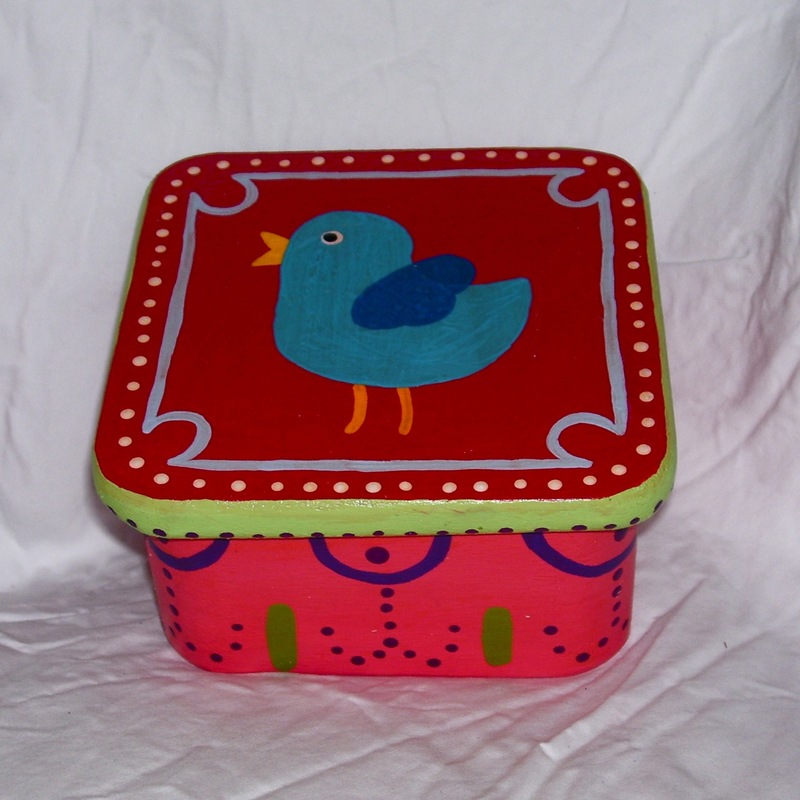 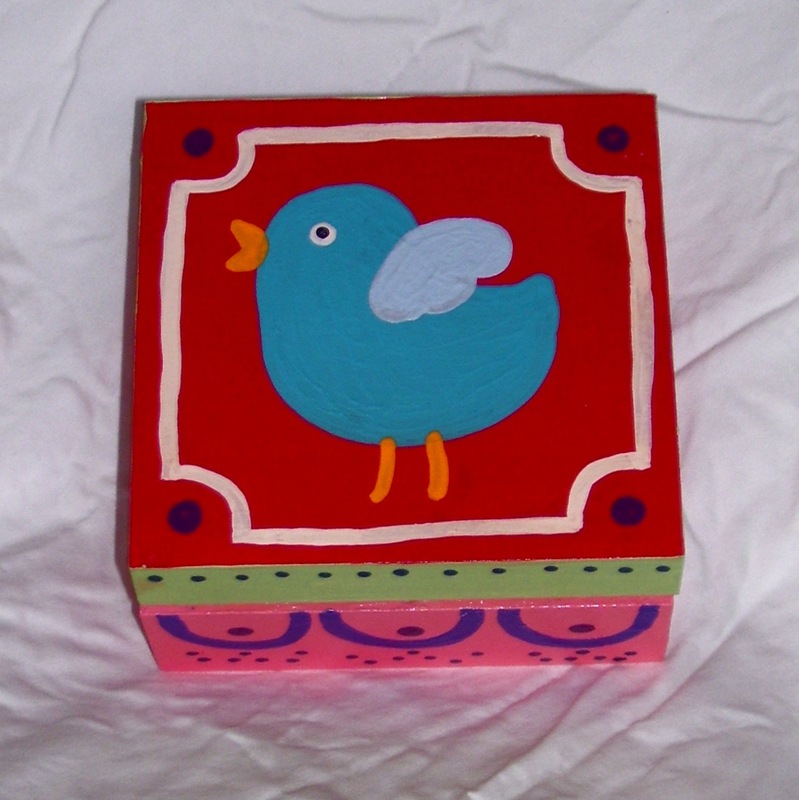 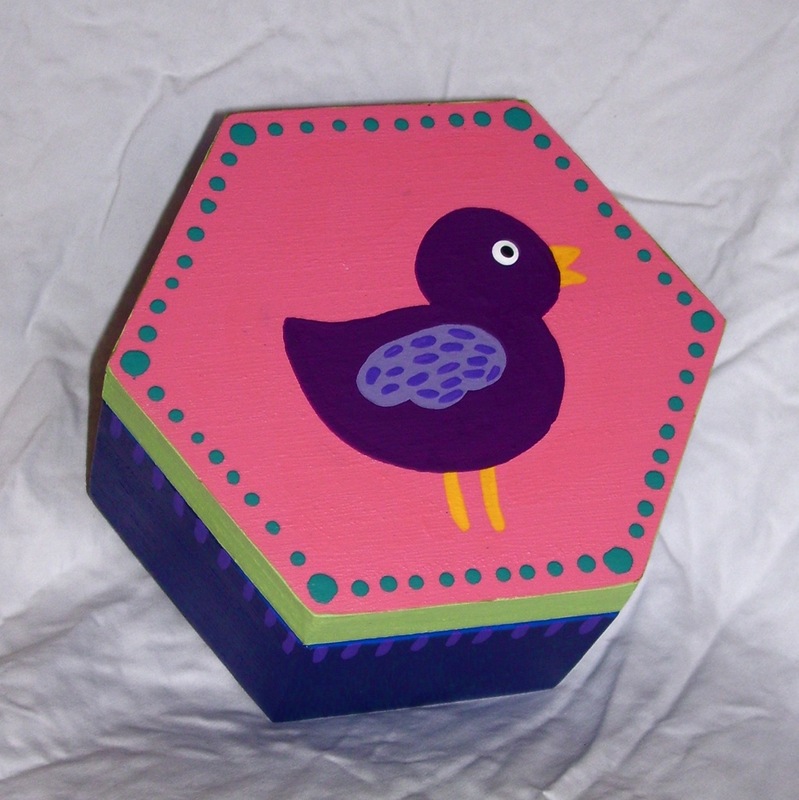 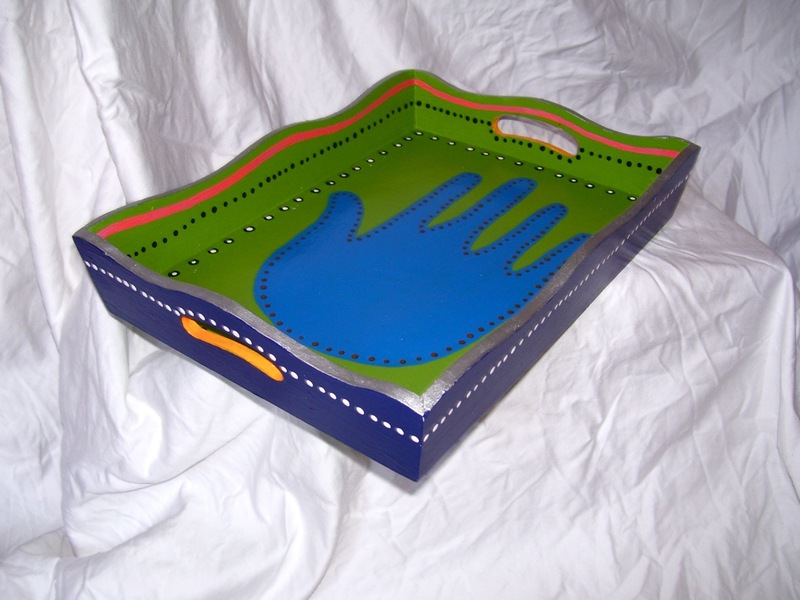 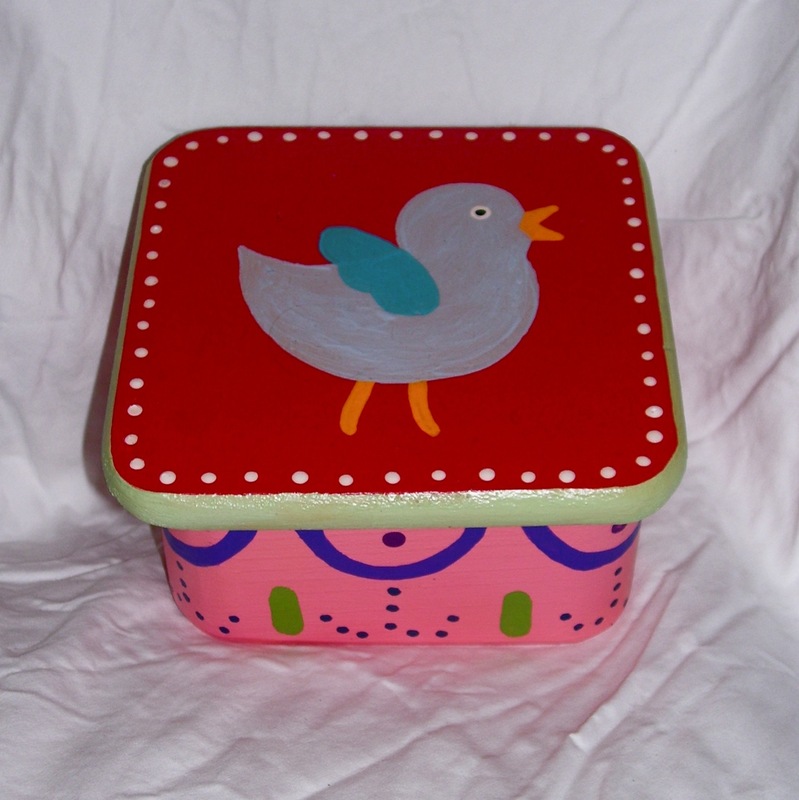 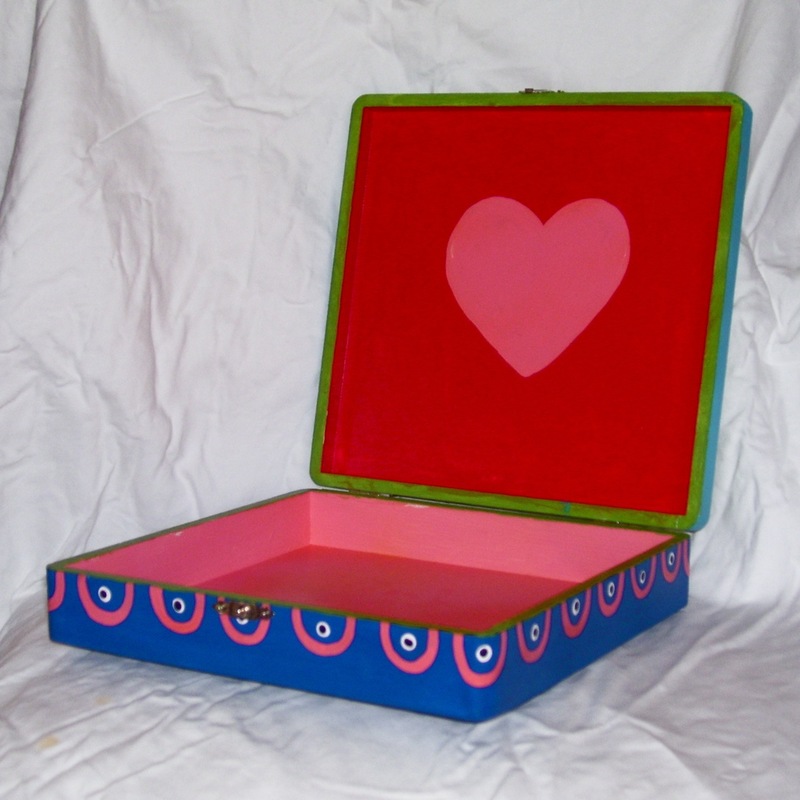 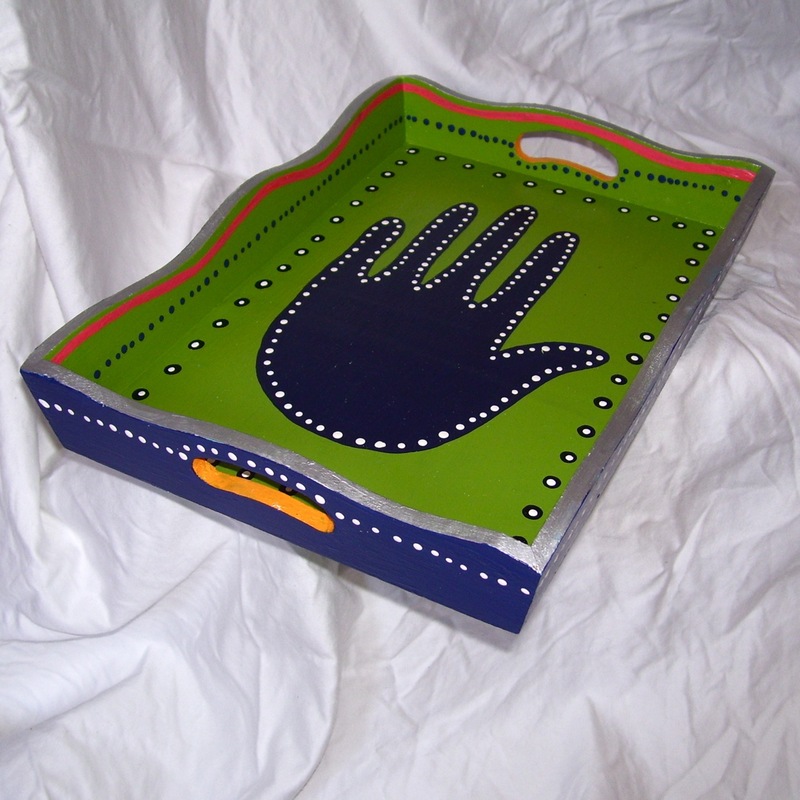 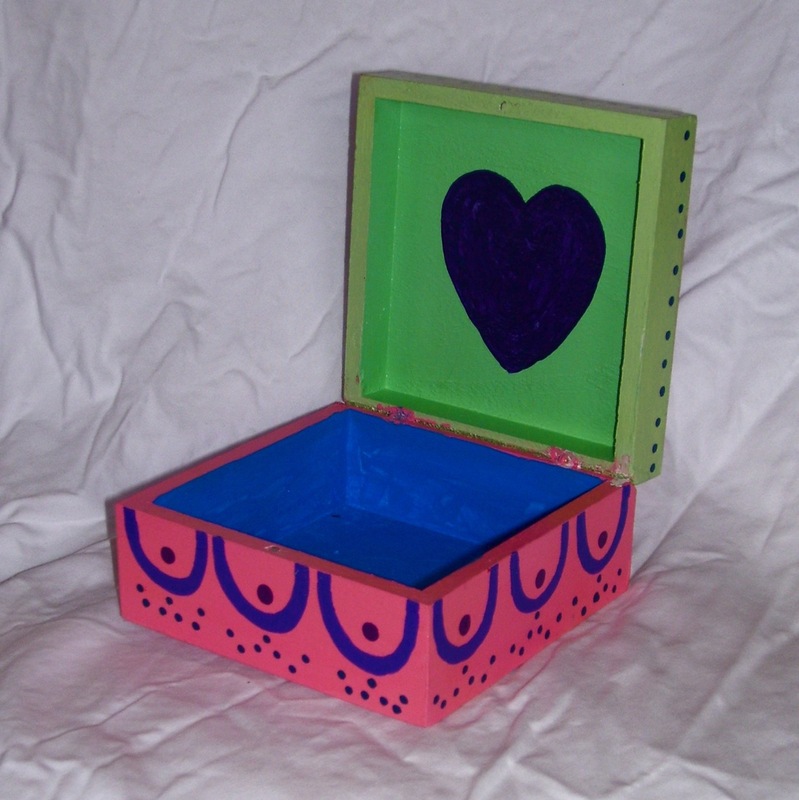 I wound up making several small boxes as smaller, cuter versions of the large pieces of furniture I make. 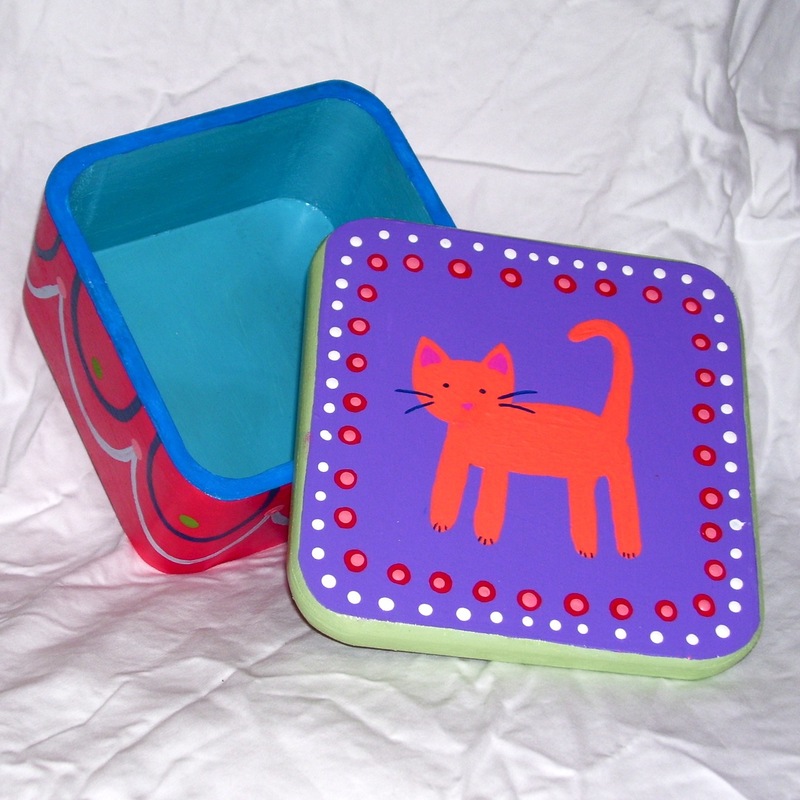 The largest box was 10 inches square, while the smallest was 3 inches. 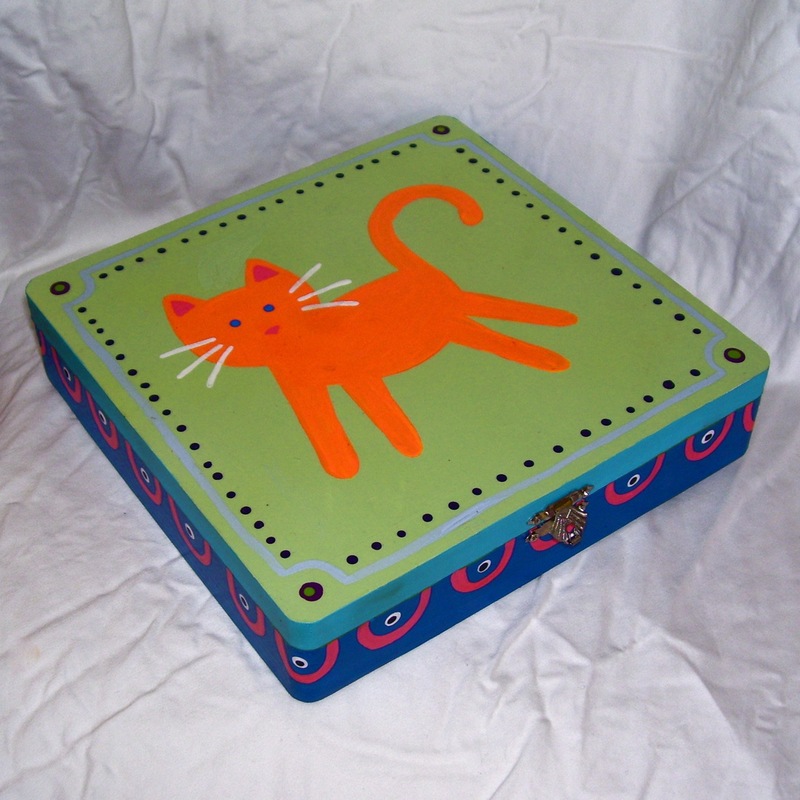 Almost all of them had animals on them, and the designs continued on the interior of the boxes.